Sweaty gym environments combined with a lazy skincare routine can cause all sorts of problems! Exercise obviously causes sweating which is why without the proper post-workout cleanse; breakouts or dehydration can occur. If you already suffer from problem skin such as oily skin, then skipping on cleansing makes you a real victim to post-workout acne. Of course, prevention is always easier than treatment and with post-workout acne, and there is actually quite a lot you can do to help yourself. Sweat is unavoidable when you have a good workout, and of course, it’s necessary to help balance your body temperature out. But when your sweat mixes with the natural body oils, product residue and potential dirt that has been pushed out of your pores during the workout; this can lead to trouble. Leaving your skin (both face and body) unwashed for too long after a workout is a breeding ground for acne. This gross mixture could re-settle into your skin, blocking pores and inflaming skin leading to acne breakouts. Your body could be especially prone to post-workout acne if your wear tight-fitting exercise clothes. So try to wear loose-fitting clothing or go for the outfits specifically designed for working out, with moisture-absorbing abilities. Plus, of course, just try to take a shower as soon as you can after your workout. Gym equipment is enemy number one when it comes to your skin. Yoga mats, weights and exercise machines all tend to harbour bacteria and dirt collected from use by lots of different (sweaty) people. Yuck! So, to avoid transferring bacteria to the skin and prevent post-workout acne, always wipe down your equipment before and after every use. Also, try to avoid touching your face or any other areas that are prone to breaking out. If you haven’t managed to avoid the dreaded post-gym breakout. Don’t worry. We’ve got some tips to help you treat it. To treat blemishes, use products with salicylic acid in them. So we recommend cleansing your skin with the Offects® Exfoliating Cleanser which will help to gently remove impurities and excess oil. What’s more, it’s exfoliating ingredients, including salicylic acid, unclog pores, ease out blackheads and keep skin clear. If you want to disguise your acne, till it goes away, use the Offects® Correct and Conceal Acne Treatment. This is a concealer for acne designed to both cover visible blemishes and provide an effective spot treatment. This concealer is also an anti-inflammatory to calm the skin and soothe redness as well as helping the skin clear away bacteria to reduce breakouts. For a deep-pore treatment, use the Offects® Sulfur Masque. This face mask for oily skin absorbs surface oil, sloughs off dead skin cells and removes dirt from pores to leave you with refreshed skin. Formulated with 10% sulfur for an extremely effective acne treatment; the Offects® Sulfur Masque reduces sebum production and calms irritated skin. What’s more, this face mask includes ingredients to replenish hydration in the skin and restore skin’s barrier function to avoid future damage. So, your skin won’t feel parched or stripped of its natural oils. Beauty myths and misconceptions are repeated so often and so assuredly that it’s hard not to believe them. We’ve rounded up a few of the most common beauty myths to clear up some potentially dangerous advice. First off, using makeup wipes at all is a complete no-no. Wipes are far too harsh for the skin and contain chemicals which can cause more harm than good. Plus, it may look as though all the makeup, dirt and bacteria has come off but makeup wipes can only remove a superficial layer of grime. So use a proper cleanser to really penetrate the skin and cleanse it effectively. 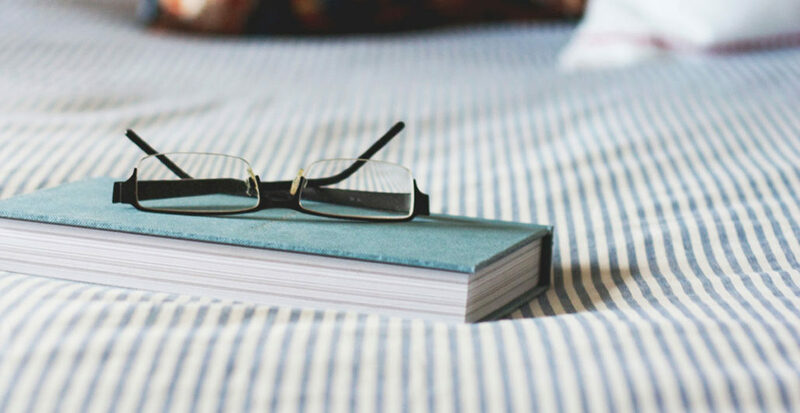 Most people believe that if they follow a good skincare routine in the evening that they don’t need to worry about the morning since nothing will have changed overnight. In fact, a lot will have changed. Just because you may be asleep doesn’t mean your skin is. Your skin produces sweat and oil throughout the night. So cleansing the skin is essential in the morning. Plus if you do not wash away the products used from the night before, any skincare products you apply in the morning won’t be able to effectively penetrate the skin, rendering them useless. So you’re wasting both your money and time. Even if you spend the majority of your day indoors, your skin is still exposed to UV rays through windows. Plus, think about all the HEV light you’re constantly exposed to from your smartphone, tablet, laptop etc. SPF should be re-applied regularly throughout the day. They absolutely do. You can also make your skincare products unusable through improper use. With products that you can dip your finger into, you need to be especially cautious as you can transfer dirt, oil, and bacteria from your fingers to the product rendering it harmful for your skin. So just wash your hands before using any products or use a clean spatula for application. Typically, the expiration of any cosmetic, beauty or skincare product is indicated with an open jar symbol and a number in the middle. The number indicating how many months once opened you can use this product before it expires. This is one of those beauty myths that can really damage your skin. Using too much of a product or applying it more often than recommended could actually irritate your skin. It could enhance whatever skin condition you’re trying to treat. For example, if you have oily skin, scrubbing your skin too often and too harsh can cause your skin to become aggravated and even more oily as a defence mechanism to protect the skin. So just follow the instructions given by the product and your skin health professional. Some rules really aren’t made to be broken. Preservatives have negative connotations but they are necessary to help prevent the growth of bacteria, fungi and other unwanted organisms in your products. Preservatives extend the usability of your skincare products by ensuring they stay as bacteria-free for as long as possible. We all know active ingredients can make a huge difference to your skin, but what exactly are they and what do they do for your skin? We’ve narrowed down some of our favourite natural ingredients for skincare. Glycolic Acid is one of the most effective natural ingredients for skin care as it is able to penetrate the skin deeply and easily. It can effectively aid in acne treatment by sloughing off dead skin cells, reducing sebum production and unclogging pores and congested skin. Enhances water content and helps the skin retain a balanced amount of moisture. Revitalises the skin to appear smoother and feel softer. Improves the appearance of fine lines and wrinkles by plumping the skin. It has a light-weight texture meaning HA is suitable for mature skin and sensitive skin as well as oily and combination skin types. Also known as beta hydroxy acid (BHA), salicylic acid is an ideal active ingredient for oily and acne-prone skin. Can penetrate deep into the pores, meaning that it exfoliates both inside the pore as well as the surface of the skin. Helps to firm and plump the skin by promoting cell turnover. Is an anti-inflammatory and anti-irritant to help soothe skin, reduce redness and subdue aggressive breakout. 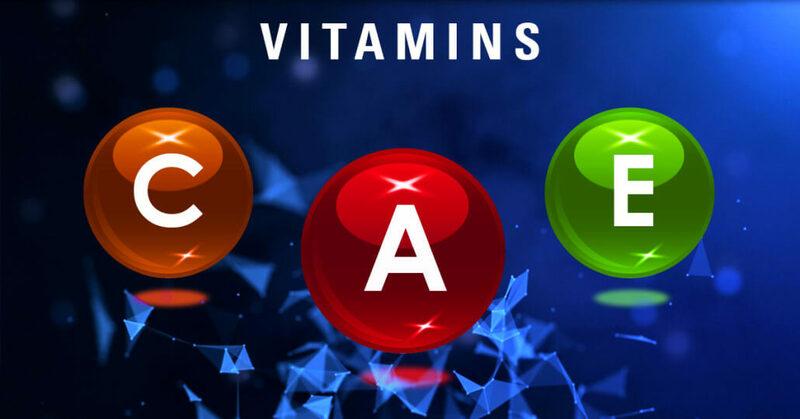 Vitamins are a necessity for the human body, the innumerable benefits they have for both your health and skin are undeniable. Which is why it was essentially a no-brainer for so many ZO Skin Health products to be packed with vitamins as active ingredients. Vitamin A, also known as retinol, is one of the best anti-ageing active ingredients on the market. It helps to protect cells and keep them healthy. Maintains healthy connective tissue, giving support and structure for the skin. Creates younger-looking and firmer feeling skin. It is necessary for collagen production and maintenance. Neutralises and protects skin from free radicals. Vitamin E is both a nutrient and antioxidant. Also known as tocopherol it helps to maintain healthy skin through it’s anti-inflammatory, nourishing and immune enhancement properties. Ideal for healing rough, damaged and/or cracked skin. Can help soften dry lips. Retinol is well known as an anti-ageing super ingredient but with great popularity comes great falsities too. There’s a lot of misleading retinol myths. So we’ve summed up the most common retinol myths to clear up the mistruths ensure you can get the most of this superhero ingredient. There is no research or evidence that concludes that you cannot use AHA or BHA exfoliants with retinol. In truth, these ingredients work in harmony when combined. Whilst they each have their own unique benefits, AHA or BHA exfoliants can increase the benefits of your retinol products. They do this by removing the dead skin that limits the absorption of vitally important ingredients into the skin. They actually help ingredients, like retinol, allowing them to penetrate and infuse deeper into the skin to deliver their unique benefits. One of the most popular retinol myths is that retinol delivers your glowing skin by exfoliating and sweeping away dead skin cells. Put simply this isn’t how it works. Retinol is an antioxidant that enhances multiple aspects of skin, to help it look healthier, smoother, and more radiant. Depending on the strength, retinol can cause temporary flaking as a side effect, this isn’t the same as exfoliation. You don’t see or feel or your skin exfoliating. Retinol products work perfectly fine when applied during the day. You just need to make sure you wear plenty of SPF to protect your skin as retinol can cause sun sensitivity. When you combine vitamin C with retinol you get the ultimate defence against environmental aggressors. The pH levels of vitamin C do not make retinol ineffective. Just as with your AHAs and BHAs, retinol and vitamin C are a match made in heaven. Consult with your skin health professional if you’re worried but if you experience some minor flaking, shedding or irritation when using retinoids, this isn’t necessarily a bad thing. Irritation that flares up after adding retinol to your skincare regimen is normal. The skin cells should eventually adapt to the retinoic acid and begin to tolerate the ingredient. This irritation usually appears as reasonably flushed, dry and lightly peeling skin. However, if the discomfort is drawn out or extremely uncomfortable, reduce use to once a week or switch to a weaker formula. Have you ever been reading an article and they start throwing in ingredients and skincare terminology that you’ve never heard of? Well worry no more, we’re giving you a breakdown, explaining all the keywords and phrases you need to know. A condition is ‘acute’ when is has arisen suddenly and manifested with intense severity. Water-soluble acids found in nature or synthesised in the laboratory. The most common AHAs used in the cosmetic industry are glycolic acid, lactic acid, citric acid, malic acid and tartaric acid. Initial skin reactions associated with certain products indicating a normal response. These reactions include redness, dryness, itching, stinging, burning, irritation, flaking, and peeling. A key sign of skin health, as skin with a compromised barrier, will become dehydrated and function less effectively. Skin with a healthy barrier experiences a reduced rate of surface moisture loss, or transepidermal water loss (TEWL). An optimal, oil soluble exfoliant for oily, acne-prone skin. A common term for “open comedones” or non-inflammatory acne. A step used to treat hyperpigmented skin conditions such as chloasma, melasma, freckles, senile lentigines and other unwanted areas of hyperpigmentation. The process consists of using 4% hydroquinone alone to reduce melanin production and provide a bleaching effect. A step used to treat hyperpigmented skin conditions such as chloasma, melasma, freckles, senile lentigines and other unwanted areas of hyperpigmentation. The process consists of using hydroquinone 4% in combination with tretinoin to force an even distribution of melanin into the keratinocytes to provide a horizontal blending effect. Ingredients derived directly from plants. Widely used for their antioxidant and anti-inflammatory benefits. A family of waxy lipid molecules composed of sphingosine and a fatty acid. Ceramides are found in high concentrations within the cell membrane and comprise the bulk of the lipid layer, which holds the skin’s cells together in a firm, smooth structure. They maintain the moisture-retention ability of the skin. A decrease in the level of ceramides results in the skin becoming dry and hard, leading to fine lines and wrinkles and an impaired barrier function. The main component of connective tissue and the most abundant protein in humans, comprising of 25-35% of the body’s protein content. Fibroblast cells create collagen, a key protein component that gives skin its structural firmness. A clogged hair follicle (pore) in the skin. Keratin combines with oil to block the follicle. A comedone can be open (blackhead) or closed by skin (whitehead). A closed, encapsulated pocket of fluid deep in the dermis. A condition that is continuous or persistent over an extended period and is, therefore, the opposite of acute. A chronic condition is one that is longstanding and not easily or quickly resolved. Skin that has lost water. An essential component of the ZO® Skin Health Principles™, the purpose of which is to increase skin’s tolerance and resistance to damaging factors that cause skin ageing. In dermal stabilisation, the primary concerns are the epidermis, papillary dermis, circulation, collagen, elastin, and glycosaminoglycans. A topical product recommended in treatment protocols when addressing a skin disease or disorder such as acne, rosacea, etc. Known as xerosis cutis lacks both oil (skin lipids) and water. Has multiple causes, including barrier function imbalances that result in increased trans-epidermal water loss leading to skin dehydration. Climatic factors such as dry, arid conditions and wind can also cause skin dryness. Enzymes that facilitate the body’s natural process of excising and repairing damaged DNA caused by internal or external aggressors. organisms and many viruses. Normal metabolic activities and environmental factors, such as UV light, can cause DNA damage. Many of these lesions cause structural damage to the DNA molecule and can alter or eliminate the cell‘s ability to transcribe the gene that the affected DNA encodes. DNA cannot be replaced if lost or damaged beyond repair. A protein that accounts for the elasticity of the skin. Elastin functions in the connective tissue together with collagen. Whereas collagen provides rigidity to connective tissue, elastin allows many tissues in the body to resume their shape after stretching or contracting. A complex mixture of agents specially designed to make the external layers of the skin (epidermis) softer and more pliable. They increase the skin’s hydration (water content) by reducing evaporation. An essential component of the ZO® Skin Health Principles™, the purpose of which is to increase skin’s tolerance and resistance to damaging factors that cause skin ageing. In epidermal stabilisation, the primary concerns are the epidermis and its disorders. The outer, nonvascular, nonsensitive layer of the skin. Protects the body from foreign substances entering the skin and water loss from the skin. Redness of the skin or mucous membranes. Ingredients used for physical and chemical exfoliation of the stratum corneum. Numerical classification scale for classifying the colour of skin. It was developed in 1975 by Thomas B. Fitzpatrick, a Harvard dermatologist, as a way to classify the response of different types of skin to UV light. It is also a well-recognized tool for dermatological research into skin pigmentation. A compound designed to be used topically as an additional defence. It absorbs from the blue-violet region of the visible light spectrum shielding the skin from cell damaging high-energy visible light (HEV). An atom or group of atoms with at least one unpaired electron and is, therefore, unstable and highly reactive. In animal tissues, free radicals can damage cells and are believed to accelerate the progression of cancer, cardiovascular disease, and age-related diseases. Free radicals can be produced by sunlight, toxins, cigarette smoke, air pollution and stress. An alpha hydroxy acid (AHA), originally derived from sugar cane but later successfully synthesised. It has the lowest molecular weight of all the AHAs, allowing it to penetrate more deeply. Performs multiple functions when used in skincare products. Medical studies have proven its effectiveness in treating fine lines, wrinkles, acne, and photo-damaged skin. A skin health restoration and disease treatment approach emphasising the gradual use of products associated with severe or strong anticipated reactions. A smaller than usual amount of product is used 1–2 times a week in the beginning, with the frequency of application increasing as tolerated. The concept is to start, stop and restart until the product can be tolerated daily. Substances that are capable of stimulating cellular maturation, proliferation and cellular differentiation. A form of light believed to cause long-term skin damage as significant as UVA and UVB combined. HEV damage is insidious and long-term. While there may be no immediate signs such as redness or swelling, repeated exposure over time can lead to premature aging and even cancer. Boosts skin’s moisture content and helps prevent moisture loss. Found in high concentrations in the skin, hyaluronic acid provides continuous moisture to the skin by binding up to 1,000 times its weight in water. A skin-bleaching agent that inhibits the production of melanin. It is used for lightening melasma, freckles, age spots and other skin hyperpigmentation concerns. Darkening of an area of skin caused by increased melanin production. As defined by Zein Obagi, MD, healthy skin is smooth, even in colour tone, firm and tight, well-hydrated, tolerant to external factors, contour-rich, and free from underlying disease(s). Substance that absorbs and transfers water to skin or helps another substance retain water. To improve skin’s texture is to minimise large pores, roughness, discoloration, hypertrophy and atrophy. A protective attempt by an organism to remove injurious stimuli such as pathogens, damaged cells or irritants followed by the initiation of the healing process. While acute inflammation is essential, chronic inflammation is damaging. It causes cellular dysfunction, alteration of skin texture, true sensitivity, dyschromia, poor response to treatment, poor healing, and accelerated ageing. Oral medication derived from vitamin A (13-cis retinoic acid). Primarily prescribed for the treatment of severe acne. Isotretinoin decreases comedones, reduces sebum production and shrinks the sebaceous glands. The hydrogenation product of jojoba oil. Jojoba esters are commonly used as emollients due to their remarkable similarity to the natural oils produced by the human skin and its high oxidative stability. A derivative of kojic acid and a fatty acid (palmitic acid). A skin-lightening agent that inhibits the tyrosinase enzyme involved in melanogenesis. It can be derived from various fungal species and is an effective non-hydroquinone lightening option for skin discolourations. Extracted from the seed of the kukui nut tree. Has exceptional anti-irritant benefits and healing properties. Member of the alpha hydroxy acid family. Naturally derived from sour or fermented milk. The commercial production of lactic acid is typically done by the traditional fermentation of natural carbohydrates. Commonly used in skincare to hydrate and improve skin textures. Lactic acid promotes exfoliation of the outer surface of the skin by breaking down the desmosome bonds that hold skin cells together. Small spherical vesicle consisting of a phospholipid bilayer. Liposomes are used as vehicles for active ingredients. Because the liposome wall is very similar to the cell membrane, liposomes can effectively transport and deliver active ingredients into the skin. A plant known widely for its fragrance. Lavender has been shown to have antimicrobial properties, along with powerful antioxidant benefits. A dark brown to black pigment produced by cells in the skin known as melanocytes. It gives colour (pigment) to hair, skin and iris of the eyes and also helps protect the skin from the harmful effects of ultraviolet light. Melanin-producing cells located in the basal layer of the skin’s epidermis. Tiny, round crystals added to skincare products to mimic a microdermabrasion treatment. The crystals provide friction on the skin and help to physically slough away dead skin cells to improve cellular renewal, along with the skin’s texture and tone. A combination of two matrikines, Pal-GHK and Pal-GQPR, which synergistically help to increase cellular activity and the synthesis of extracellular matrix components, including collagen. Known for its ability to tighten and firm the skin and reduce the appearance of fine lines. Small mineral particles added to products to improve application and provide a lustrous appearance. The minerals also diffuse light to help improve the appearance of skin imperfections. This acid is extracted from the bitter almond and is an alpha hydroxy acid (AHA). It has a large molecular size, which makes it less irritating than other AHAs. Mandelic acid promotes exfoliation and speeds up the cellular turnover rate. It can also provide antimicrobial effects. The time it takes for keratinocytes to form, mature, and exfoliate from the stratum corneum (on average, six weeks). The independent shedding of dead cells from skin surface that allows epidermal renewal and activity. Solid, raised areas in or under the skin that are larger than 0.5 centimetres. Cosmetic powders that work by combining light emission and visible-light scattering properties. The emitted light illuminates shadowed areas of wrinkles while the light diffusion aids in reducing the appearance of wrinkles and other skin imperfections. Sunscreen that absorbs UVB radiation and some UVA radiation. Also, called benzophenone-3. A solid raised lesion that has distinct borders and is less than one centimetre in diameter. A papule has distinct borders and it can appear in a variety of shapes. A chemical compound containing two or more amino acids coupled by a peptide bond. Peptides can serve as messengers to stimulate specific cellular activity. The ageing process of the skin attributed to continuous, long-term exposure to ultraviolet light. Small, inflamed bumps on the skin filled with fluid or puss. Any natural or synthetic form of vitamin A. One of the several forms of vitamin A. It is converted to other forms of vitamin A, such as retinal (retinaldehyde) and retinoic acid. When applied topically, retinol is converted into retinoic acid, which is the form of vitamin A that is needed to stimulate biological activity. Retinol promotes exfoliation and epidermal renewal, stimulates collagen synthesis and helps even skin tone. A chronic inflammatory condition located at the “flush” areas of the face such as nose, cheeks, chin and forehead. May cause redness, prominent blood vessels, swelling or hyperplasia (increase in the size of the tissue). Also, may present with papules and pustules associated with acne. This beta hydroxy acid is an effective keratolytic (exfoliant) and is known for its antimicrobial effects. Unlike alpha hydroxy acids, salicylic acid can penetrate into the pore, which makes it an excellent choice for acne treatment. It is a derivative of aspirin and also provides anti-inflammatory properties. An oily secretion of the sebaceous gland. Hypersecretion of sebum leads to clogged pores, comedone formation and seborrheic dermatitis. While naturally produced by the body, sebum is also an inflammatory substance that induces significant immune response manifesting as acne, rosacea, seborrheic dermatitis, post-inflammatory hyperpigmentation (PIH) and scarring. A mineral found abundantly in sandstone, clay, glass and granite, as well as in parts of plants and animals. In cosmetics, it is used as an absorbent powder and thickening agent. Derived from a natural substance called silica (basic sand). Silicone’s unique properties provide a smooth application and a silky feel on the skin. It fills in uneven texture and fine lines, which helps create a smooth and flawless look. Silicones also provide a protective cover on skin, which can help skin retain moisture and stay hydrated. A sunscreen rating scale indicating how much time one can expose their skin to the sun before burning. An essential component of the ZO® Skin Health Principles™, the purpose of which is to increase skin’s tolerance and resistance to damaging factors. Naturally occurring mineral used as a pigment in makeup and as a sunscreen to block ultraviolet radiation. Titanium dioxide is an inorganic sunscreen that reflects both UVA and UVB rays. Due to its gentleness, titanium dioxide is an excellent sunscreen choice for sensitive or weak skin. A form of vitamin A also known as all-trans retinoic acid. Used to treat acne and sun-damaged and hyperpigmented skin. Decreases the cohesiveness of the epithelial cells, promoting epidermal renewal and decreased comedones. Prescription product available in various strengths. Measurement of the quantity of water that passes from inside a body (animal or plant) through the epidermal layer (skin) to the surrounding atmosphere via diffusion and evaporation. Ultraviolet rays responsible for the signs of ageing because they are able to penetrate deep into the surface of the skin, damaging the cells beneath. The wavelength of UVA rays is 320-400 nm. Ultraviolet rays responsible for sunburns. These burning rays are most linked to the formation of skin cancer. The wavelength of UVB rays is 280-320 nm. A group of unsaturated nutritional organic compounds that includes retinol, retinal, retinoic acid and several provitamin A carotenoids, including beta-carotene. Vitamin A is essential for skin health restoration. It helps promote exfoliation and epidermal renewal, stimulates the production of collagen and helps even skin tone. Also known as tocopherol, vitamin E is a very effective lipid-based antioxidant. Helps to remove free radicals and ensures that oxidative damage is decreased by disrupting the chain reaction caused by the free radicals. In addition to its antioxidant properties, vitamin E helps to hydrate the skin and promote healthy skin repair. The collection of sebum and dead skin cells trapped beneath the surface of the skin. They appear as small, hard, white bumps that look like pimples but are not usually red and inflamed. 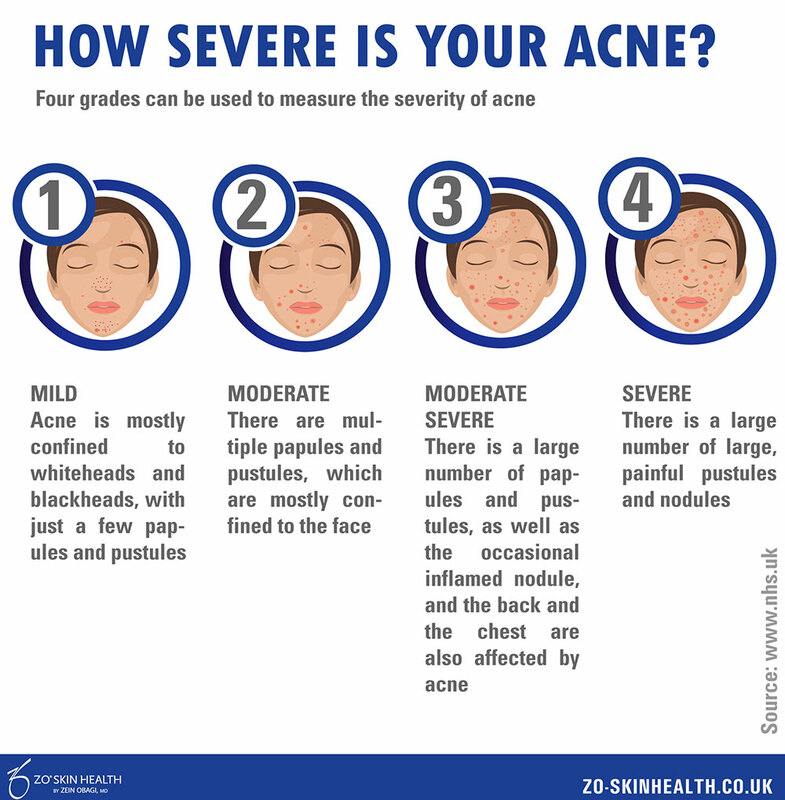 Everyone has heard of acne but did you know there are different types and levels of severity to it? Spots appear when your pores get clogged and filled with sebum and dead skin cells. But not all experience the same level of this condition. The first stage usually presents a small concentration of pimples or blackheads or a combination of both on the skin. Inflammation is not usually associated with it and it does not happen on a daily basis. It occurs in men and women at any age. Blackheads, pustules, papules and pimples may form on the skin. It occurs more frequently and with more redness or inflammation around the affected area. Inflammation is the most obvious change in the third stage. The area becomes red, irritated and inflamed. Cysts, papules and nodules may also be present. This stage is extremely painful with numerous pustules, cysts, papules and nodules in the affected area or in various parts of the body. ZO Skin Health and Medical offers a wide range of products designed to remove oil, normalise pore size, help smooth skin’s surface, and reduce inflammation and irritation. https://zo-skinhealth.co.uk/wp-content/uploads/2015/03/acne-ft.jpg 364 705 Alex https://zo-skinhealth.co.uk/wp-content/uploads/2018/05/ZO-Skin-Health-PMS072C.png Alex2017-04-18 15:06:252017-04-18 17:00:52How Severe is Your Acne? We asked some of our ZO skin health professionals what is the most common skin problem that they encounter in their clinics. The answer may surprise you…it’s sun damage. Yes, many dermatologists have expressed how sun damage and the multiple consequences it has on the skin is a primary issue for many patients. So we thought we’d give you some tips on how to prevent it. Photodamage also known as sun damage or photo-ageing is a skin condition that can affect any skin type. It develops when the skin is exposed to an overwhelming amount of harmful UV rays from sun exposure. It commonly begins to occur as young as two or three years old however it is still undetectable at this stage. As a person grows older, and thus experience more sun exposure the damage caused becomes clinically significant. Pigmentation, wrinkling and loss of elasticity become more apparent. It is imperative that early signs of photodamage be recognised and treated as this will help to avoid development of more severe and clinically challenging types of sun damage. Regrettably, the early stages of photodamage such as tanning, freckles, and lentigines are often ignored and treatment is only sought out when the condition becomes more severe, for instance when actinic keratoses and skin cancers appear. Tanned skin is actually a display of DNA damage as well as a multitude of other unhealthy skin changes. These can have a significant negative consequence over time. Consequently, you should try to avoid excessive sun exposure. Wearing protective clothing such as hats, long-sleeved tops, and trouser as well as avoiding outdoor activities during peak time (between 10am-4pm) is advised. Regardless of how high a level of SPF you have in your sunscreen; it inevitably comes off after only one to two hours. So you must reapply it frequently throughout the day. Additionally, even if you do consistently apply sunscreen, research has demonstrated that people do not actually apply enough. So make sure to use plenty of sunscreen and don’t forget to cover everywhere; including the ears, hands, back of the knees and feet. Following a skincare program that provides stabilisation of the epidermis (outer layer of skin) and the dermis (inner layer of skin) will increase the skin’s ability to repair and renew itself. To promote and enhance the skin’s barrier function, use a suitable concentration of retinol and AHAs daily. Always apply sunscreen after these active ingredients. In addition, the skin should be supplied with a formulation that consists of 4-6 types of antioxidants for DNA protection and to stimulate skin repair. ZO Skin Health’s Oclipse® Smart Tone SPF50 is a highly advanced, SPF 50 sunscreen with broad-spectrum UVA/UVB and HEV protection. In addition, it is formulated to inhibit pigmentation. Furthermore, it has a sophisticated 12-hour time-release antioxidant complex to guard against photodamage. Plus, this sunscreen doubles as a sheer tint primer. Comprised of customisable colour-bursting beads to release a subtle tint for the appearance of a radiant and healthy glow. So, rather than wasting your money over and over again through a trial and error process, we think it would be better to understand the difference between products, before buying them. This way you can ensure you go in with a full knowledge of what different products can do for your skin. A cosmetic product can only be applied to the outer surface of the skin and so it cannot directly treat a specific disease. It cannot pass through the dermal-epidermal joining, which is the area between the epidermis and dermis. However, it can maintain, protect, clean, add fragrance to, and change the appearance of any area of the epidermis’ surface that it is applied to. In contrast, cosmeceuticals are able to penetrate the epidermis. The active principles are able to pass through the epidermis and act deep within the dermis. Although, due to its composition, a cosmeceutical product is not classifiable as a drug, despite being formulated with highly active principles. A product classified as a drug is any substance or combination of substances that has the ability to cure or prevent a specific disease. Its main purpose is to restore, correct or modify the physiological functions through pharmacological action. Another difference between cosmetics and cosmeceuticals is where you can purchase them. If a product contains ingredients that can penetrate or change the functioning of the skin, it cannot be sold over the counter. These kinds of products require a medical prescription. When a product must be prescribed by a doctor it is classified as a therapeutic product. Although cosmeceuticals contain ingredients that can penetrate the skin, they are not classified as therapeutic products. This is because they only have a mild effect on the skin in comparison to the stronger medical products. ZO Skin Health products offer a wide range of cosmeceutical solutions. Their purpose is to maintain the results of therapeutic treatments and support daily skin health and protection from the environment. ZO Medical includes therapeutic solutions that can treat a wide range of skin disorders and chronic conditions. These products can only be provided by skin health professionals.